Tag Archives: Greatest Hits Etc. It probably says a lot about me that I think this, but one of the greatest pleasures in being a music fan is having the opportunity to help a fellow fan find their way into a favourite artist’s body of work. Especially a long-standing favourite. It helps you hear their songs with fresh ears. There’s no longer-standing favourite for me than Paul Simon. I’ve been listening to the man since I was about five years old. My parents had Greatest Hits Etc. on cassette and it accompanied virtually every long car journey we made. 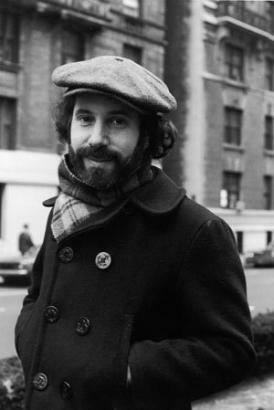 Why jazz harmony and songs about life as a divorced man in New York City should connect so strongly with a five-year-old British child is maybe a matter best left to a psychologist, but for whatever reason, Paul Simon became – and remains – my guy. Mel asked me to put together a CD of Simon tunes she’d listened to on YouTube after I’d put Something So Right on a mix for her. This I did, but wanting to fill in the blanks and use up the remainder of the CD sent me scurrying back to my Simon albums, to hear these old songs as I imagined she might. I am, of course, knocked out by these songs all over again. It’s the high points of Simon’s mid-seventies output that still hit me hardest: Something So Right, American Tune, Still Crazy After All these Years, I Do It For Your Love, 50 Ways to Leave Your Lover, Slip Slidin’ Away. They’re spread over several albums, rather than concentrated into one record. If you’re not a Simon obsessive, the records to get are his solo debut album (Paul Simon, written about here), Graceland and a good compilation to fill in the gaps (Greatest Hits Etc. was the best but is out of print – the double-CD Paul Simon Anthology will do in its stead). Simon rewards a conscientious compiler. As dark, as idiosyncratic, as spotty, as Still Crazy After All These Years Was, it connected hard: it reached number one on the US Billboard Album Charts, it won the Grammy for Album of the Year in 1976, it went gold. But long term, it hasn’t been embraced as its more outward-looking peers in Simon’s discography have. It never went platinum in the US. That staggers me. Perhaps listeners realised that the best songs off the record were on the radio plenty and they didn’t need the album. Perhaps that CBS compilation did away with the need to have whole albums, despite not including My Little Town, the much-ballyhooed reunion with Art Garfunkel (better than it could have been, but more than a little out of place, sandwiched between Still Crazy and I Do It For Your Love – the muscularity of the drummer’s performance comes off rather startling). I can’t help but feel Simon’s jazzy 1970s output will in time come to matter less and less in the reputation he has among younger fans; his career will likely be reduced to Bookends/Bridge Over Troubled Water and Graceland. Those sounds and arrangements are more copyable and are more copied by younger artists, allowing new fans a gateway to the original. And plenty of people my age and younger grew up with Graceland as their car-journey record. It’s a phenomenal album, as are Bookends and Troubled Water – don’t get me wrong for a second – but they have never left me gasping the way I Do it For Your Love or Slip Slidin’ Away do. This entry was posted in Music and tagged 1976, 50 Ways to Leave Your Lover, Album of the Year, American Tune, Art Garfunkel, Bookends, Bridge Over Troubled Water, CBS, Gold, Gone at Last, Graceland, Grammy Award, Greatest Hits Etc., Have a Good Time, I Do It For Your Love, Loves Me Like a Rock, My Little Town, Night Game, Paul Simon, Paul Simon Anthology, platinum, Simon & Garfunkel, Slip Slidin' Away, Something So Right, Still Crazy After All These Years on November 13, 2014 by rossjpalmer.